It has been a year since C K Prahalad passed away and two years since my only interaction with him – over email. He sent his inputs to my paper on Dynamic Innovation Sandbox. CKP is remembered more for his work on Bottom of the Pyramid (BoP) and on core competence. However, for me, his metaphor of “innovation sandbox” holds more fascination. It is almost three years since I wrote about it first in 2008 and subsequently wrote thrice in 2009 (1, 2, 3). Here is an attempt to reflect on the question – What are the challenges in building an innovation sandbox? 1. Taking a strategic bet – When Biocon started its oral insulin program in 2002, they didn’t know what the product may look like if the program succeeds. Moreover, timeline was hazy. However, two constraints got identified – affordability and oral insulin and a study began. It would be another two years before Biocon partnered with Nobex to get the right technology platform. To develop an innovation sandbox, in CKP’s words, you need “an unflagging commitment to strategic intent”. I see senior management sometimes waver while taking a position. 2. Finding a leader: Playing within the innovation sandbox also means dealing with unusually high degree uncertainty. Like Ravi Rajhans, a member of the initial Tata Nano team recalled, “We were really, really scared. It was a big project and we were not sure where to start, where to draw even the first line”. You need a leader who can manage and more importantly keep the team motivated through the ups and downs. Getting these leaders is usually hard. Good organizations develop them. 3. Making collaboration work: Tata Motors ex-MD Ravi Kant has put this very well. He said, “In today’s world, you have to realize that you cannot do everything and you cannot control everything and therefore you need to have a collaborative workplace. For project of this kind to succeed, you need to have everyone collaborating, which is easier said than done. Leading collaboration is a gigantic task in any organization”. In CKP’s words, “They must not innovate in isolation”. This is hard. Your commitment to write about Innovation is unwavering and that's something!! Three examples you have written about are interesting and connected. For me, the common theme is risk taking ability of the senior management (and may be luck!). Senior management needs to be clear that to expand the business, new ideas are needed and preferably these ideas need to come from their own stable rather than borrowed or bought over from someone else. That calls for vision, that calls for long term commitment to your own business. Next is to find someone capable to carry out the task (not necessarily the same guy who had the idea in first place); sell him the idea and 'invest' into him by an implicit assurance that even if you fail your annual performance appraisal is not going to look black. Unless this assurance is given explicitly or implicitly, the person (even though sold on idea) may not have much incentive to give his / her full attention which is critical. How would have Ravi Rajhans performed if he were to be given this scary task (of making sub 1L car - you need to be making profit after selling it at 1L! )and also told that his performance measures would be like all his peers? IMO, BioCon Sr mgmt was taking a big risk when they embarked on the program about it being not successful (afterall human digestive system consumes insulin by breaking it down!) and in the process 'wasting' precious brain power that had potential other uses in conventional operations. It all boils down to Sr management deciding to support innovation (accepting all its possible failures) and demonstrating conviction by setting aside fund (and possibly assuring a guy or two about not to worry about annual performance measures). Calls for deep pocket and more critically deeper 'selfish' interest in long term prospects of your own business. A tough proposition in an environment where CEOs face a quarterly apprisal cycle! Another example, other than Nano and BioCon, is the "25 paise STD call" dream of Dhirubhai Ambani, that changed the telecom industry in India. In all these examples, the top-most person believed in a thought and then let Sr management have a free hand in actual implementation. Ratan Tata also made available Rs. 500 Cr. 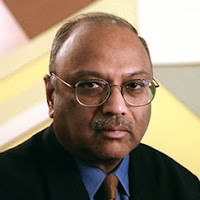 for the Supercomputing Lab to Dr. Narendra Karmarkar and is still supporting the venture even after Karamarkar has left, that has led to the Supercomputer "Eka". So, it seems, its just the character/belief of the top person to stand up, that determines the success. If any enterprise does not have that kind of support system at-least at some level, it is sure to be shelved in mid-way when difficulties mount up. As Abhijit hints at, "whose baby is it and who would take the blame" are the key questions for an innovation, specially when the going gets tough. In India, most of the Sr. Management people, including VPs and CXOs, are mere managers/employees/followers and not leaders. Unfortunately, this attitude percolates throughout the ranks and we have cultivated people with a managerial (pass-the-order and pass-the-buck) attitude at all-most all levels in the hierarchy. Once, one of my clients in US who was heading a technology start-up, told me that "being unsuccessful in a new venture" is actually considered as a very good qualification for future opportunities there. In Indian scenario, its exactly the opposite. Really appreciate your inputs. I liked the term “deeper selfish interest in long term prospects of your own business”. I have heard a similar term “being long term greedy”. I need some time to mull over these. Perhaps will post a separate blog. Hope you will continue to give your inputs. It is always nice to see your views. They help me a lot. I liked Dhirubhai Ambani’s example. I haven’t explored the story much. I think I should. I agree that for a big idea it needs to get a sr management support at some time. Question is: Is it required right from the beginning? Can a big idea originate from bottom or at least from middle and slowly percolate upwards? I am still looking for good stories from India. Am I being skeptical here? Maybe, yes. But I sincerely believe that if there could be a change in the mind-set of managers how they deal with a new thought when the future looks hazy, that would be the biggest innovation, and then other "normal" innovations would follow. The tragedy of Indian entrepreneurship is that, initially, almost every entrepreneur (at-least in technology sector) sincerely wants to become like Hewlette/Packard/Jobs etc and somewhere down the line after gaining some significance, tries to morph oneself into Narayan Murthy and Nandan Nilekani (notable exceptions like Ajit Shelat are rare). Why? Good point, Ravindra. Read a quote in Economist – The new idea either finds a champion or dies. Championing of ideas seems to be an important element of innovative culture. I remember talking about this bottom-up movement of ideas with a President of an IT company. He told me something interesting. He said, “We [in India] are not mature enough to publicly give credit to the young chap who came up with the idea first. Many of our innovations would also trace their roots to ideas coming from places other than top mgmt”. Doesn’t a company like Flipkart give hope? Also a dozen folks got recruited from Tihar Jail campus this year. Isn’t that amazing?